Although not an award winner, this 100% merino wool top does a great job balancing warmth with breathability to bring you a solid, year-round workhorse. The Icebreaker 200 Oasis is a solid workhorse base layer that is a perfect weight to carry you through all the seasons of doing what you love in the outdoors. 100% merino wool does a fantastic job of regulating temperature and keeping you warm and dry when conditions demand. A stretchy and fairly durable weave with minimal itch next to skin breaks in nicely and has a snug fit that is typical to a base layer. With consistent scores across the board, we feel like this is a layer that will work hard for you and stacks up pretty evenly against the other merino wool layers we tested like REI Co-op Merino Top. Inherent to merino, it is expensive at $90 but is an all-around, quality top. The Icebreaker 200 Oasis didn't necessarily wow us with any fancy bells, whistles, or tricks, but proved itself as a consistent and dependable workhorse. A snug and traditional base layer fit paired with comfortable and stretchy merino wool regulates body temp well, wicks and dries quickly, and is a perfect weight to provide versatility through the changing seasons. On the expensive side, it's a hit on the wallet but performs well. A nice snug fit, the Icebreaker200 Oasis could use just a little more length in the arms and torso. This top is a great weight for a base layer, which means when layered underneath warmer layers it allowed us to trap heat and when things got steamy it kept us comfortable and dry. This model can do the job in really cold situations with proper insulating layers, but there are warmer alternatives if that's important, like the SmartWool Merino 250. Taking a minute to process the amount of steep skinning left. The IceBreaker Oasis did its job well climbing Mt. Hood. A solid workhorse, it doesn't stand out from other layers in any category. All around good, not extraordinary. We skinned 6,000 feet up Mt. Hood in the bitter cold, and it kept us warm on the static parts of the climb without allowing us to overheat. This has been a tried and true go-to for years of guiding backpacking in the backcountry and has accompanied us on many an international trip. The versatile ability to keep you warm in colder temps but a great weight for not overheating makes this a workhorse. A solid score for warmth, this will serve you well resort skiing in December as well as hiking in October. Not the warmest but sufficient for most conditions you'll find yourself in. Scoring relatively average among tough competition in breathability, the Oasis does a good job of wicking sweat away from the skin and drying quickly. The tighter weave of the merino wool offers some wind resistance while keeping admirable breathability. We've taken this top backpacking in February and climbed Mt. Hood in January. It was able to breathe well enough and helped keep us dry while skinning 6,000 feet up Hood and kept us warm at the windy summit. This one of the all-around highest performing midweight tops on the market. Offering solid breathability, it doesn't take home any awards but seems to always do a good job. Here it is being fully tested on a sweaty mission in the front range of Colorado. The 100% Merino wool is stretchy and soft next to the skin. We noticed a little bit of an itch for the breaking in period, but after some use and washes, it went away. It has a snug fit through the body and arms, a very traditional base layer fit. Flatlock seams, offset shoulder seams, and gusseted underarms are helpful when considering use and mobility. If you are on the taller side, the torso and sleeves could use a little more length; there is a little belly and wrist exposure when reaching above your head. All in all, a very comfortable base layer with a fit that may run on the smaller side, good mobility, but not the best for taller folks with long arms or torso. Quality craftsmanship and purposeful sewing patterns give this a good fit and comfortable wear. The offset shoulder seams make carrying a pack easy and comfortable. Here's some exciting news! This had the fastest drying time of any 100% merino wool layer and dried as quickly as the lightweight synthetic Helly Hansen Lifa! Drying only ten minutes slower than the two fastest, we were very impressed. The similar weight REI Co-op Merino Top was ten minutes behind the Icebreaker. Merino wool is not famous for its durability but with that being said, merino has come a long way in how durable they are. Gone are the days where you had holes within months. This top is pretty standard for durability when it comes to high-quality merino wool base layers. Fairing well as we grovel our way up an odd and rarely visited aid climb in the desert. Like it does in every category, it has solid durability. Not the best but far from the worst. We found this to be of the most durable layers when it came to the merino wool tops we tested. It showed only surface wear in our abrasion test which impressed us because the similar weight REI Co-op Merino Top now sports a hole all the way through the fabric after it underwent our abrasion test. A sleek looking top, this looks nice just about all of the time! This is one of the few tops that states DO NOT TUMBLE DRY on the tag. Well of course we did, and we noticed signs of slight shrinkage. As always for merino wool products, we suggest laying flat to dry. Overall a more durable option in the merino category. This top does a great job layering. The tight fit through the body and sleeves allow it to be layered smoothly underneath tighter fitting mid layers. Even though it has a snug fit, the stretchiness of the fabric does a great job being comfortable when layered over a t-shirt. This base layer is extremely versatile. The weight allows it to be used effectively across a spectrum of activities. It does great resort skiing, fall backpacking, and spring climbing. It's warm enough to be worn in cold weather but is light enough not to cause you to overheat in cool to warm conditions. Taking in the view of Dakota Ridge and the edge of Golden on a beautiful crisp fall day in Colorado. 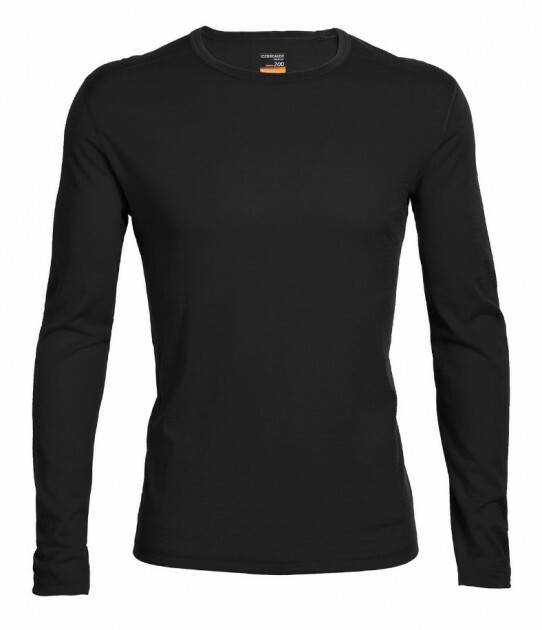 At $90 it is on the more expensive side for a base layer but to be expected with quality merino wool. It is extremely versatile and more durable than other merino layers tested which helps justify the cost. Sorting gear before an ill-advised desert tower mission. This 70-degree day pushed the limits of comfort for overheating in this top. Admirable in its temperature range and general work-hard attitude. Overall this top performs well in every activity and situation we threw at it. It doesn't stand out from the crowd but does its job well. With higher scores across the board, it proved itself as a good all-around base layer. A versatile weight and more durable than other merino layers but with a poor fit for taller folks. We like it a lot but aren't madly in love. MooseJaw $62.99 - 30% off! 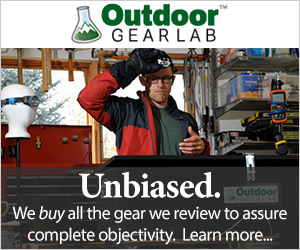 Backcountry $67.50 - 25% off!